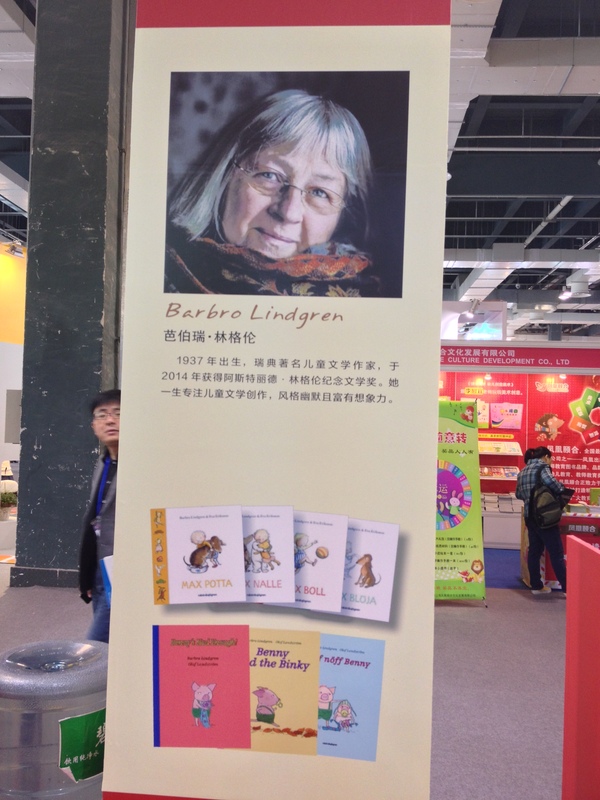 Will Barbro Lindgren’s latest children’s book be rewarded tonight? Cover of Nu leker vi den fula ankungen. 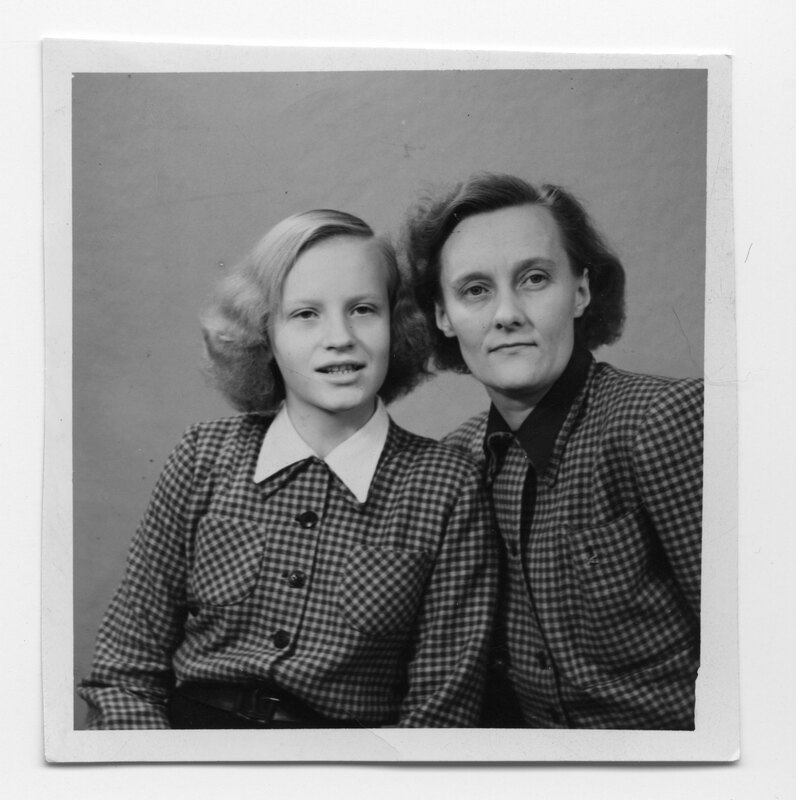 Eva Lindström and Barbro Lingren. Photo: Rabén & Sjögren. Barbro Lindgren’s Nu leker vi den fula ankungen (Let´s play the ugly duckling, illustrations by Eva Lindström, Rabén & Sjögren 2014) are one of the nominated candidates in the category for Best Swedish Children’s Book of the Year at tonight’s August Prize gala. Anything is possible in children’s play. When Barbro Lindgren let children play H.C. Andersen’s Ugly Duckling, something happens. The humorous childlike dialogue reshapes the whole story. The moral change. The duckling transforms from an outcast to a unique creature, but on new terms. The untidy duckling’s fragile appearance stands out in both the throng of ducklings and on spreads with large, pure color fields in a dim range of colors. Eva Lindström captures the little bird’s vulnerability to perfection. But also its inner growth. The August Prize was founded by the Swedish Publishers’ Association in 1989, to institute an annual award for the best Swedish books of the year in order to increase public interest in Swedish contemporary literature. The other three categories which will be announced tonight is: Best Swedish Fiction Book of the Year, Best Swedish Non-Fiction Book of the Year and the August Prize for Young Writers. You can follow the August Prize gala live here starting 5:30 pm CET! “I realized there were family stories that my children didn’t know and I should write them down,” Paterson said to Sally Pollak, Burlington Free Press, about her newly published memoirs “Stories of my Life”. 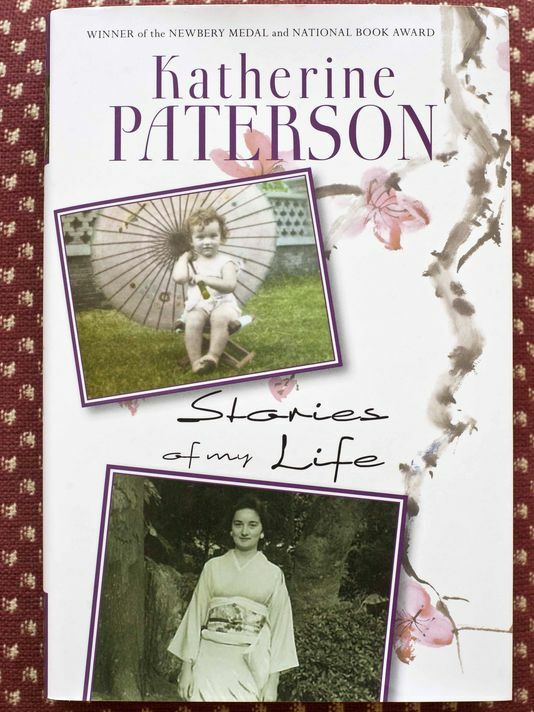 “It would be a good thing for the kids and for the grandchildren.” In “Stories of my Life” (Dial Books, 2014) 2006 ALMA Laureate Katherine Paterson looks back on her life with warmth, self-effacing humor and extraordinary humility (Publishers Weekly). She grew up in China and trained as a missionary in Japan before beginning her writing career in America. Her work has included picture books and books for the very young, often based around fairytales and myths, yet it is as a writer of novels for young readers that she is best known. Often set in historical contexts in Japan, China or the US, yet frequently too against a contemporary American backdrop, these novels deal with important and sometimes difficult issues such as broken families and children at risk. – When we were evacuated from China to the United States, I was an alien in the country my parents called home. We had very little money, and in the beginning my friends were the people I met in the books I read. 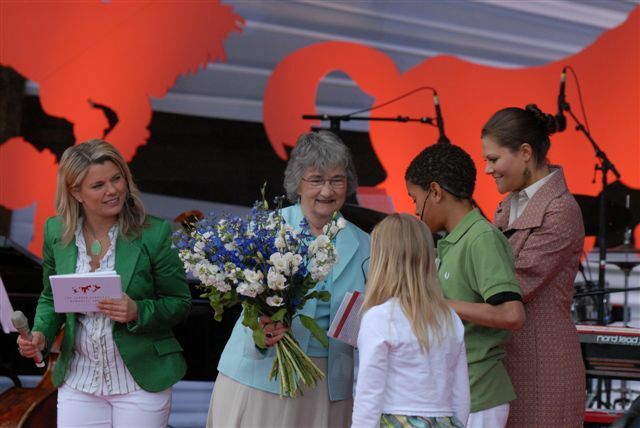 In 2006 she received the Astrid Lindgren Memorial Award for her lifetime achievement. 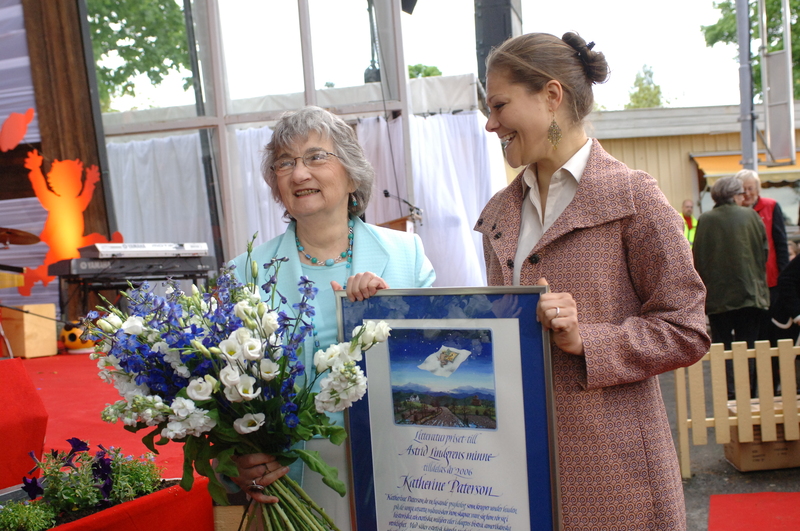 Katherine Paterson receives the 2006 Astrid Lindgren Memorial Award from Crown Princess Victoria of Sweden. 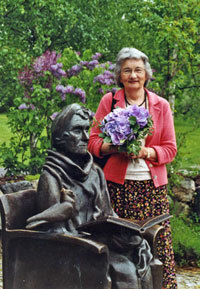 Katherine Paterson at the Astrid Lindgren sculpture during the 2006 Award week. • Portia Dery, from Ghana wins the Golden Baobab Prize for Picture Books with her story, Grandma’s List. • Mary Ononokpono, from Nigeria, wins the Golden Baobab Prize for Early Chapter Books for her story, Talulah the Time Traveler. • Xanele Puren, from South Africa, wins the inaugural Golden Baobab Prize for Illustrators. 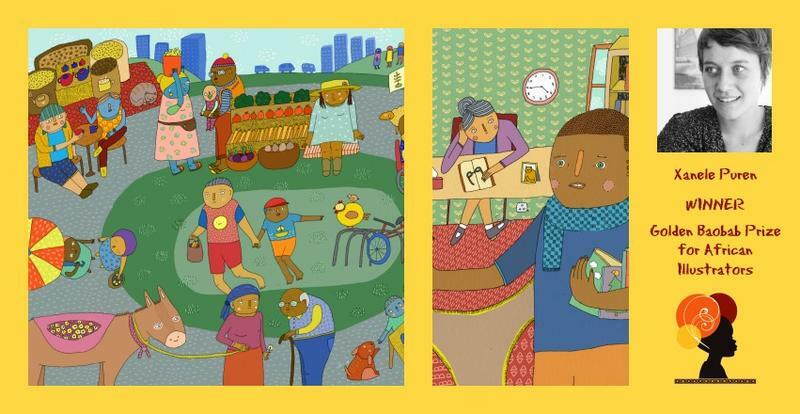 The Golden Baobab Prize for Illustrators is the biggest and most prestigious prize committed to discovering, nurturing and celebrating talented African illustrators of children’s stories. – We are proud of the contribution we are making to the children’s literature and illustration world and are actively searching for exciting partnerships to expand our reach and impact across Africa. We are seeking major corporate partnerships by our next prize season to further propel our vision of making the heads of children across Africa beautiful places for them to live! 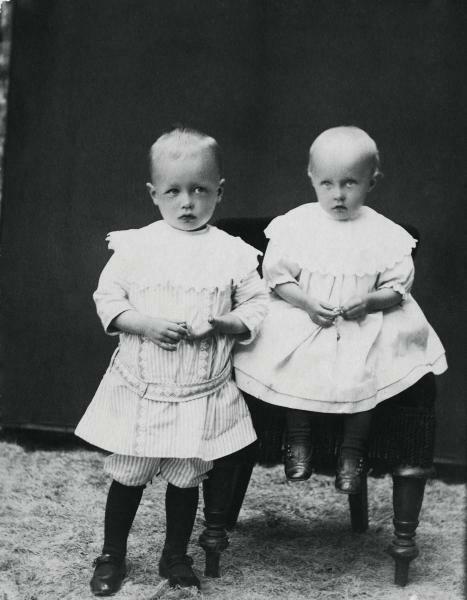 Astrid together with her brother Gunnar in 1909. The Astrid Lindgren Collections. Astrid Lindgren was born on November 14, 1907 in the Näs homestead near Vimmerby, in the county of Småland. She grew up at Näs, and this is the place where her writing begun and that also inspired to both her stories and the characters in them. 60 years later, on her 60th birthday, publisher Rabén and Sjögren initiated the Astrid Lindgren prize in 1967. 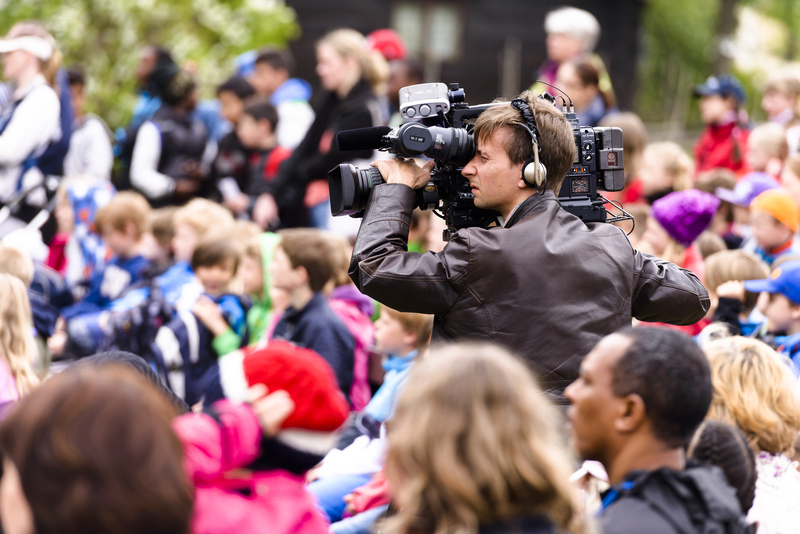 It is awarded every year for meritous authorship within the realm of Swedish literature for children and young adults, and will be announced this afternoon. Ps. Her childhood home can still be visited by the public. Visitor’s centre Astrid Lindgren’s Näs also exhibit the story on Astrid Lindgren’s life along with an extensive public program. 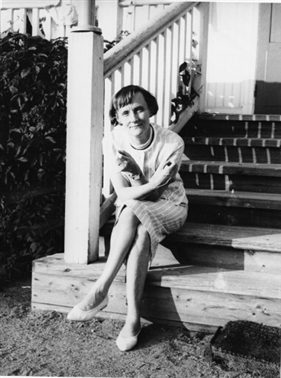 Astrid Lindgrens on the stairs of her childhood home at Näs, Vimmerby. Now is the time for teachers in Stockholm’s schools to sign up for the competition En bok i världsklass (A world of books). The competition aims to promote reading by encouraging reading of books from different parts of the world. 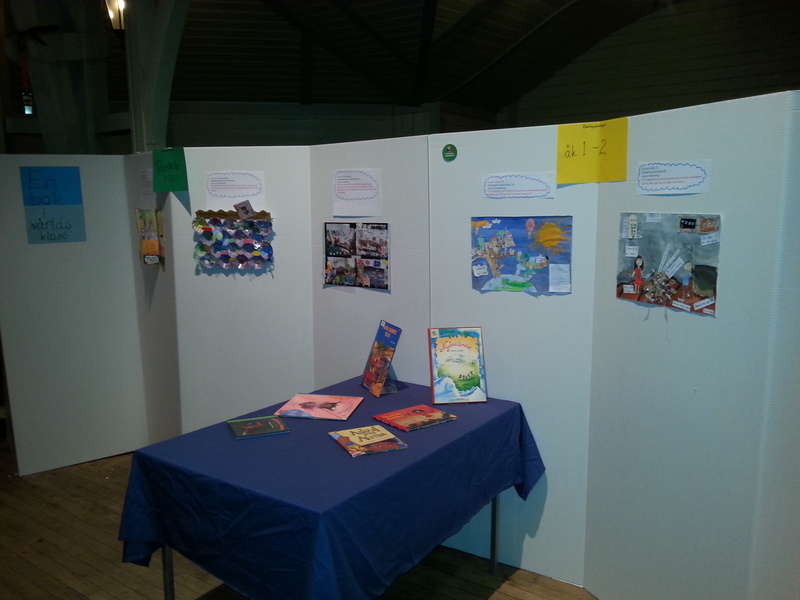 The Stockholm schools have until March to read books from different parts of the world and then create entries to the competition. The entries will interpret the books read by the pupils in the light of this year’s theme, “Persistency and Courage”, and they need to consist of both drawings and a reflective text. A representative from the award office is every year part of the jury that evaluates the entries, and it is always so amazing to see the effort, time and creativeness put into each contribution to the competition. Below you can see one of the winning entries from the previous year, when the theme was “New worlds”. 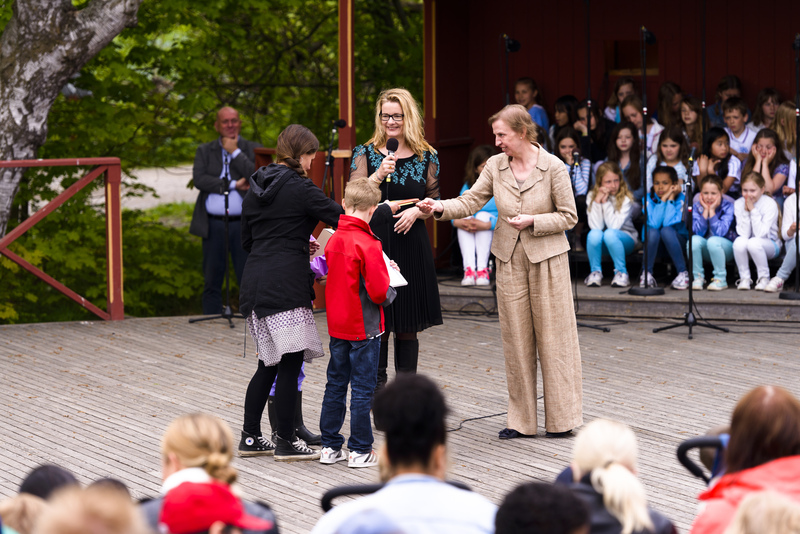 The competition En bok i världsklass is part of the reading promotion activity Barn och böcker (Children and books), a co-operation between the Astrid Lindgren Memorial Award, Stockholm City Library, the Education Administration of Stockholm and Skansen open-air museum. 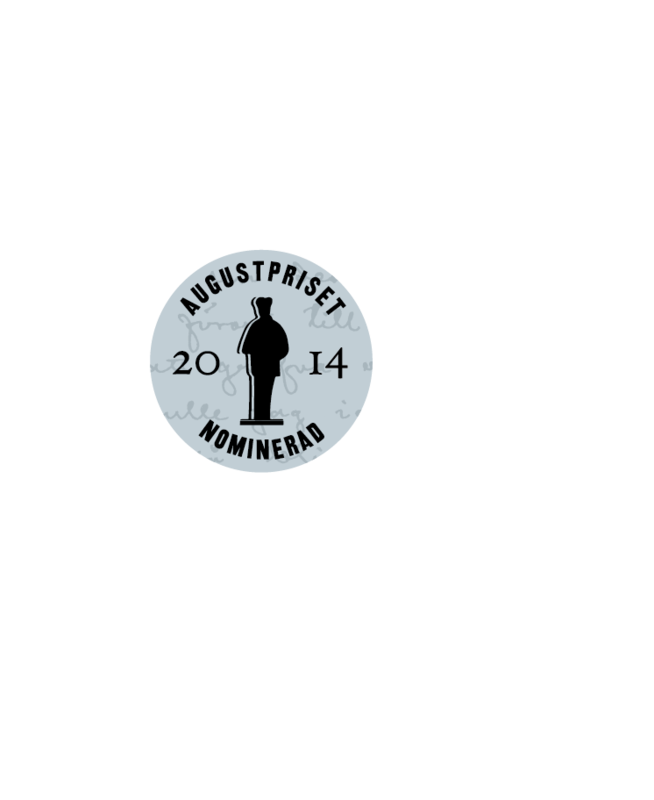 This is a video (in Swedish) from the Award ceremony 2011 which was performed during the ALMA Award week. The Australian illustrator Shaun Tan who was is Stockholm to be presented to the Astrid Lindgren Memorial Award, presented prizes to the winning school classes. 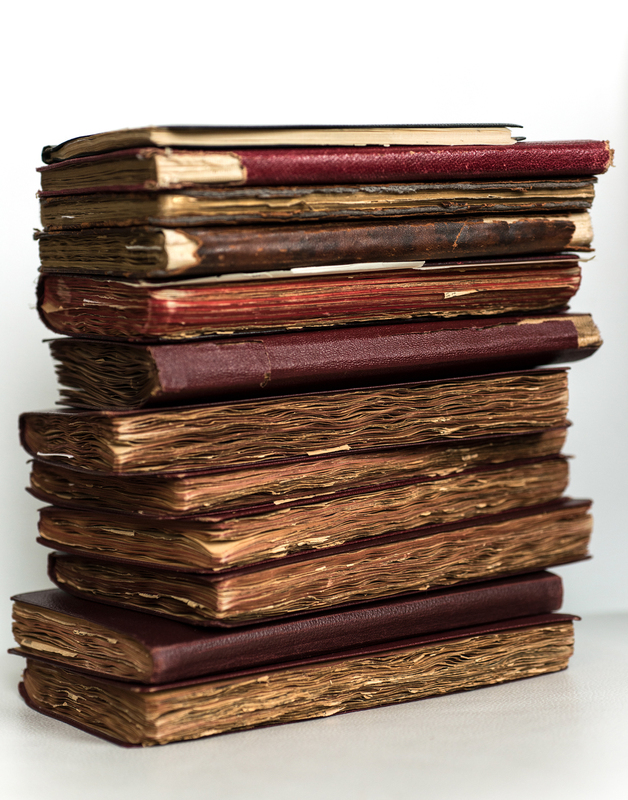 – The diary and the newspaper clippings come from a troubled period in history, but they make a fascinating read! I´m happy that more people will get to read what Astrid wrote and experienced when she was 30 years old. Oh! War broke out today. Nobody could believe it. Yesterday afternoon, Elsa Gullander and I were in Vasa Park with the children running and playing around us and we sat there giving Hitler a nice, cosy telling off and agreed that there definitely wasn’t going to be a war – and now today! The Germans bombarded several Polish cities early this morning and are forging their way into Poland from all directions. I have managed to restrain myself from any hoarding until now, but today I laid in a little cocoa, a little tea, a small amount of soap and a few other things. There’s a terrible despondency weighing on everything and everyone. The radio churns out news reports all day long. Lots of our men liable for military service are being called up. A ban has been imposed on private motoring. God help our poor planet in the grip of this madness! At 2.41 p.m. (I think), the capitulation was signed in a little red schoolhouse in Reims / … / by which all German forces in the whole of Europe surrendered. Norway is free now, too. At this very moment, a wild sense of jubilation is spreading across Stockholm. Kungsgatan is ankle deep in layers of paper and everyone’s behaving as if they’ve gone crazy. We sang the Norwegian national anthem at work after the radio broadcast at 3 o’ clock. Sture isn’t in for dinner this evening, but he sent home a bottle of sherry so we could celebrate the peace. Just at the moment they’re playing ‘The Star Spangled Banner’ on the radio. I’ve been drinking sherry with Linnea and Lars and feel a bit light-headed. It’s spring and the sun is shining on this blessed day and the war is over. I wouldn’t want to be German. Just think, the war’s over, Hitler’s dead (there are jubilant shouts and cheers on the radio now; Stockholm has completely taken leave of its senses). Salikon Publishing House has provided us with the extracts from the book (translation by Sarah Death). Astrid Lindgren’s wartime diaries will be published in May next year. Cover of Wonder Travels in Mysterious Lands by Sonia Nimr. 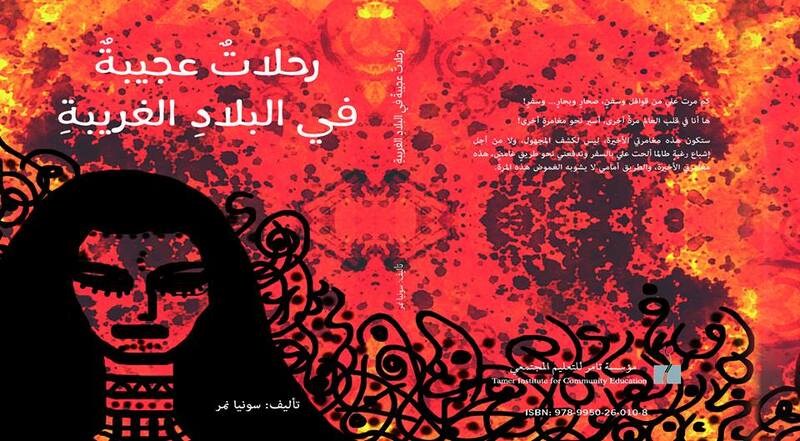 The cover is made by Lubna Taha. One librarian adds “once received the book, I read it and was sure that young adults will love it and I was right. The book is now listed among the most read at my library, and for a while it was wondering among young adults before it finally returned back to the shelve”. Another librarian discussed the book with young adults and had to say “during the discussion, young adults related to the extent which imagination is introducing realistic social life within the book. They also related to the complex within the book, where Qamar the protagonist was sold as a slave and how she had to confront by starting her travel. They were amazed by her persistence to continue despite the everlasting hardships she had to face”. Congratulations to both Sonia Nimr and Tamer Institute! It is our pleasure to inform you that we are launching our official Facebook page today! 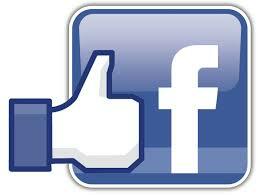 Click Here and Like us! May 2015 marks the 70th anniversary of the end of the Second World War. 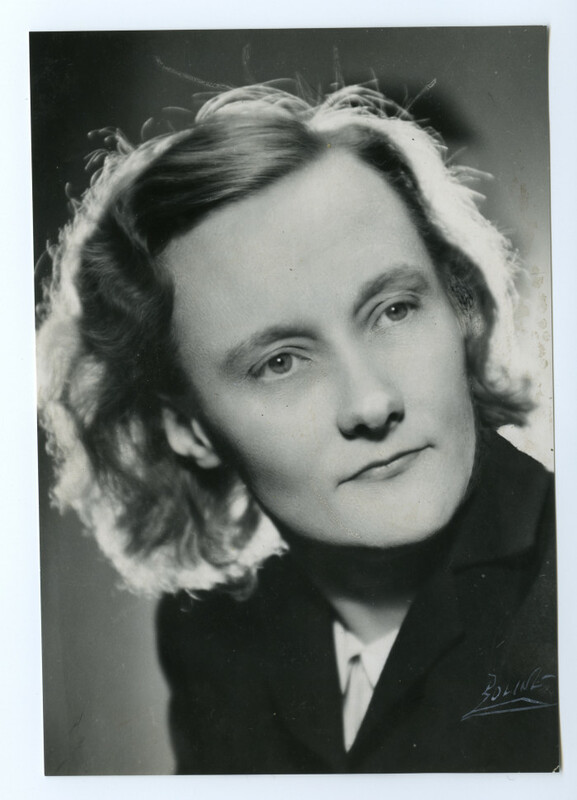 During the entire war, Astrid Lindgren kept diaries where she wrote of everyday life in Stockholm, of the world events and of the actions of the Swedish government. Astrid Lindgren’s war diaries are a very personal account of how dramatic courses of events affect us all – the words bear witness of grief and horror. This is before Astrid Lindgren became a world-famous writer; the first Pippi Longstocking book was published in the same year the war ended, 1945. 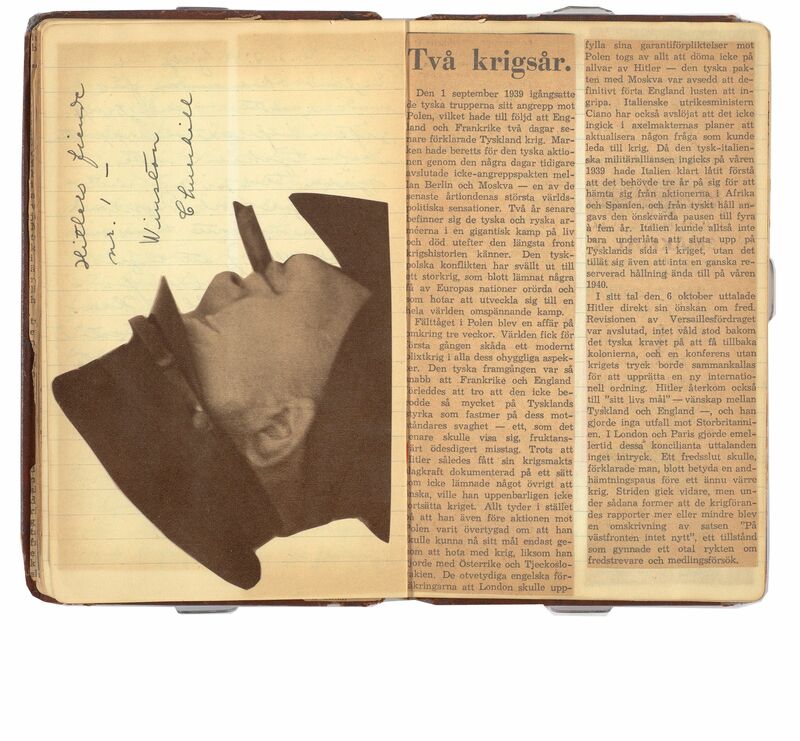 Over 70 facsimile photos of the diary pages, cut-outs from Swedish newspapers and many previously unpublished family photos from these years are included among with Astrid’s diary entries. A foreword is written by Kerstin Ekman, renowned Swedish author who knew Astrid Lindgren, and the postscript is by Karin Nyman, Astrid’s daughter. In total, 17 diaries are being published. Today, Astrid Lindgren is still very much in the spotlight and a recurring point of reference in public debate. Her books are an indispensable part of our cultural heritage and continue to reach new readers all around the world. What many people don’t know is that she was a convinced anti-Nazi at a very early stage and that she all throughout her life fought against war and violence. She was a humanist – a person who thought for herself and stood up for what she believed in, aided by her moral courage, her sense of humour and her love. In May 2015, Astrid Lindgren’s war diaries are being published, just the way she wrote them. 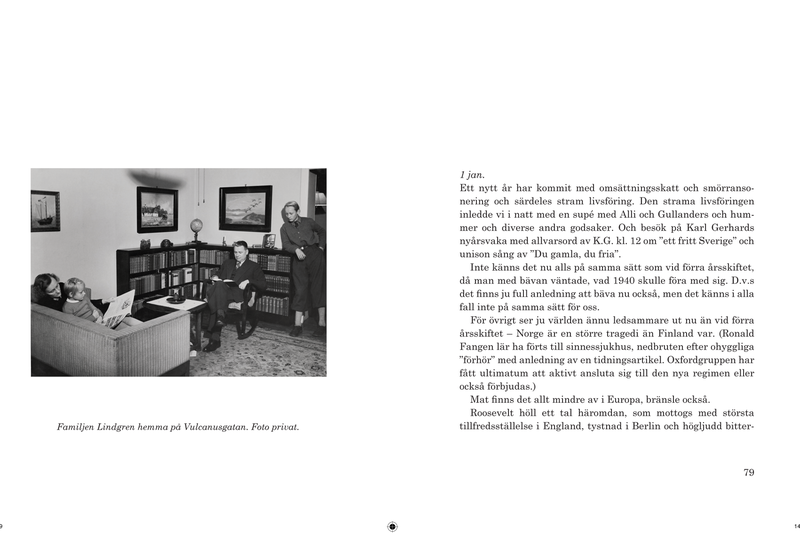 It is a unique document by an ordinary person and also one of the world’s most famous Swedes. Salikon Publishing House is a wholly owned subsidiary of the Astrid Lindgren Company Saltkråkan. Link to Saltkråkan here.